With the passage of time people have become out-and-out conscious regarding their outer appearance, hair style and overall personality. Previously, there was a usual notion that it is the females who are more concerned about their looks, glowing hair and skin but with the changing trends even men are willing to groom their body and particularly take care about hair. Not to forget that the adolescents and youngsters visit the salon especially because they want to get a unique hairstyle and most of them follow the footsteps of the celebrities. We are familiar about the massive impact and optimal response that the on-demand apps have received from the global clients. Slowly and gradually, its market has expanded enormously and most of the common day-to-day services such as taxi booking, online food delivery, repairing, plumber etc. And so, the salon and hair spa app can also be included into the same category. The salon and hair cutting business is no more considered to be downtrend profession and barbers are no more persons who only shortened the length of the hair and performed shaving. On the contrary it is generating good revenue and so many people are taking up their careers to become professional hairstylists. One must give credit to the mobile applications that has brought a significant development in the hair grooming and spa industry. 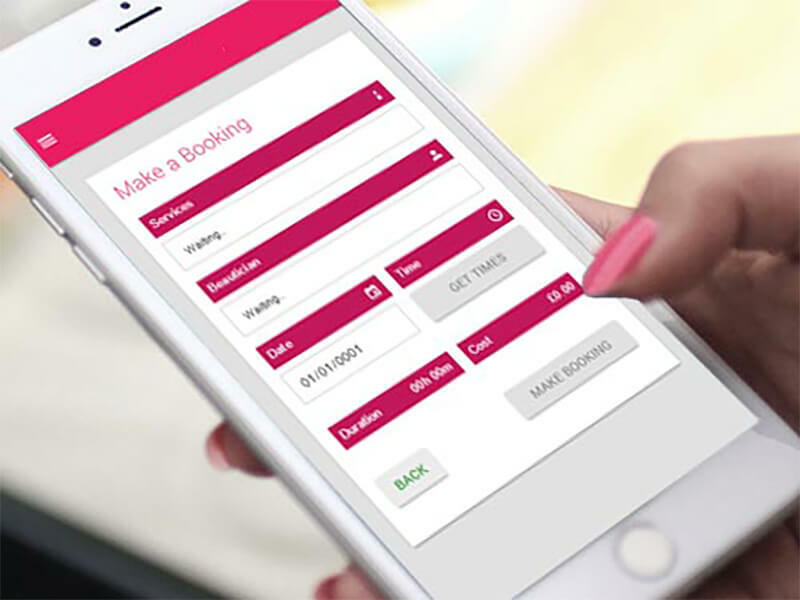 So, if you have already made up your mind to avail a salon and spa app, then it is important to know what imperative features the application should have so as to enhance your sales and get best ROI. You know that the trends have gone under a drastic change. The current scenario is such that the customer has to take a prior appointment before visiting the salon to avail any of the services; similar to what you do before consulting a doctor or a business client. 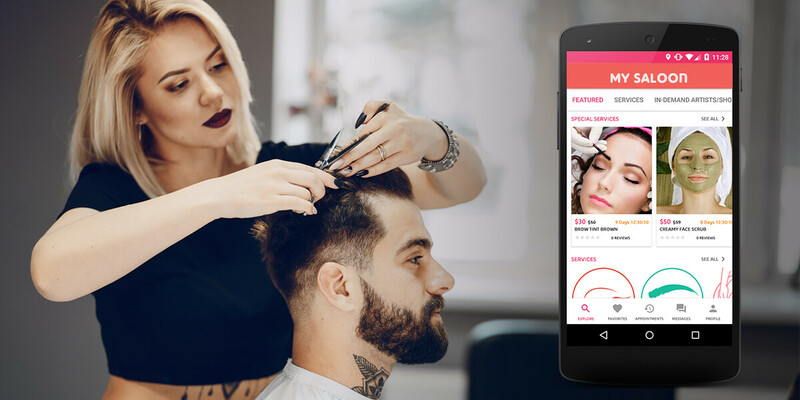 The salon app should have an in-built calendar so that the customer can schedule an appointment with great ease according to his own convenience. People mostly visit salon and spas on holidays or when they have spare time. Salons are mostly crowded in the mornings or in the evenings. If the customer makes pre-booking, he does not have to wait for his turn and this allows him to save a lot of time. Secondly, as soon as the booking is made the salon owner gets an alert via SMS and email. He will get to know which are the upcoming appointments and make the necessary preparations beforehand such as in the case of facials and hair spa. Today the modern salon is not restricted to only cutting or coloring the hair, shaving the beard etc. but its services have become much wider. Even if you are going for a haircut, there are variable options and extensive range of styles to choose from. The hairstylist will cut your hair accordingly. You can also include other services such as hair color blending or highlights, shampooing etc. Modern day salons also have the facility of hair and scalp treatment, eyebrow shaping, trimming of the beard or moustache, head massage, pedicure, manicure, laser hair removal, waxing and so on. The customers can also be informed about the different types of facial massage that you are offering. This will make it easier for the client to select the preferred service. Also please indicate the price details for each of the services. The salons nowadays are well equipped with a number of advanced devices, expensive equipment and creams that are used for various purposes. Thus, it becomes essential for the salon owner to keep an eye on the list of inventory and items being supplied to him. The owner can check his stock on a regular basis by name and if anything is falling short, he can place the order. Moreover, this feature will allow him to also add or remove the item from his inventory. He can get detailed information about the products and the price of the each item. You can know how much you are spending on each of the items. It is very essential to update your stock according to the demand in the market and preference amid the customers. A salon cannot successfully run on its own. You have to employ a bunch of experienced staff members proficient in various tasks. So, if you are hiring the staff, then managing each of their profiles also becomes pivotal. All these can be easily done with the help of the app. You just need to enter the name of the staff, their date of joining the salon, area of their expertise and other details such as contact number, address, and email id etc. In addition to that you can also keep a record of their payment structure. This will keep you informed as which staff received his salary and how much you have paid. The customers can also decide as they want their hair treatment or facial from which staff depending upon his expertise. Another feature that you can essentially incorporate in your salon app is the facility of in-app payment. The customers will pay through payment gateway such as PayPal, Braintree or Stripe. You can also include the payment via credit or debit cards. All you have to do is manage the account and entire transactions by creating an admin panel. You can also ask the users to pay through Apple Pay or Google Wallet. The salon always have some loyal customers who keep on coming to avail the services. So, now it’s your turn to show the same loyalty by offering special offers and discounts. This will bring the customers again and they would look at no other app. The offers may include discount coupons that can be scanned through QR codes, tailor-made services to suit their hair types, offer a few free services such as free haircuts, shaving etc. One of the optimal ways to remain connected with your loyal customers is through push notifications. You can impress your users by sending personalized messages to N numbers of devices at one time. You can also send updates on your services and slashing of prices if any. The Global Positioning System is an advanced technology, which if you implement will benefit your customers as they will be able to easily track the location of your salon. Apart from that the geofencing will also help in targeting a few specific customers and get their locations. The modern day salon is vastly different from the old traditional salons that we had a decade ago. The salon owners and hairstylists are smart enough to embrace the new technology and this has not only brought a huge change in their work culture but also brought forward many new hairstyles and treatment that people were unknown of. However, one of the biggest changes is that these salons have turned out to be mighty profit churners bringing in great prospect for ROI.